Foster-Melliar specialises in IT service management, project management training and IT technical training. Their original course management operations were strongly reliant on manual processes and spreadsheets, leading to customer service issues. Developed a modular, tailored system solution that perfectly fits their every requirement. This included the introduction of real-time online course booking and availability, greater business intelligence and cutting manual administration by 50%. That’s when we stepped in. 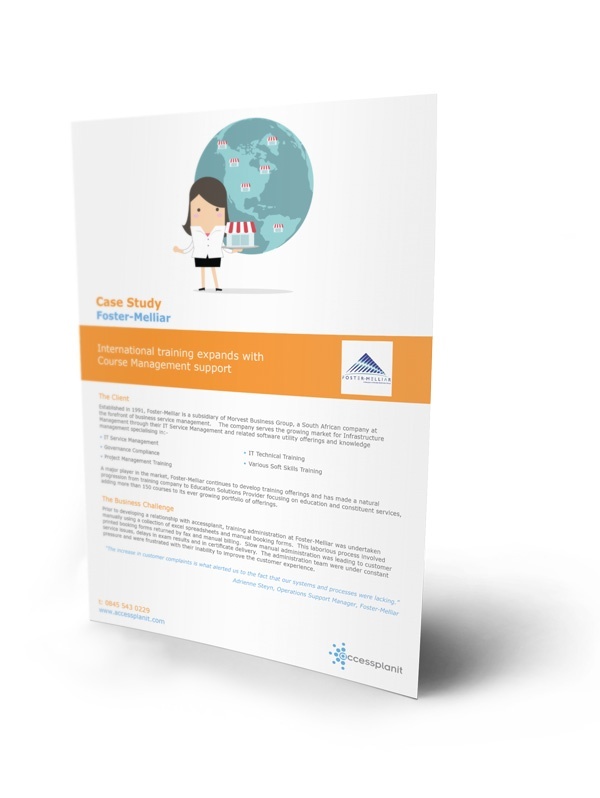 By automating 50% of administrative tasks, accessplanit’s training management system enabled Foster-Melliar to refocus on delivering a first-class customer experience. The client also gained greater visibility over their training – ensuring they can make business decisions that benefit the entire company. Get your free case study today, and explore how we supported Foster-Melliar's global expansion.